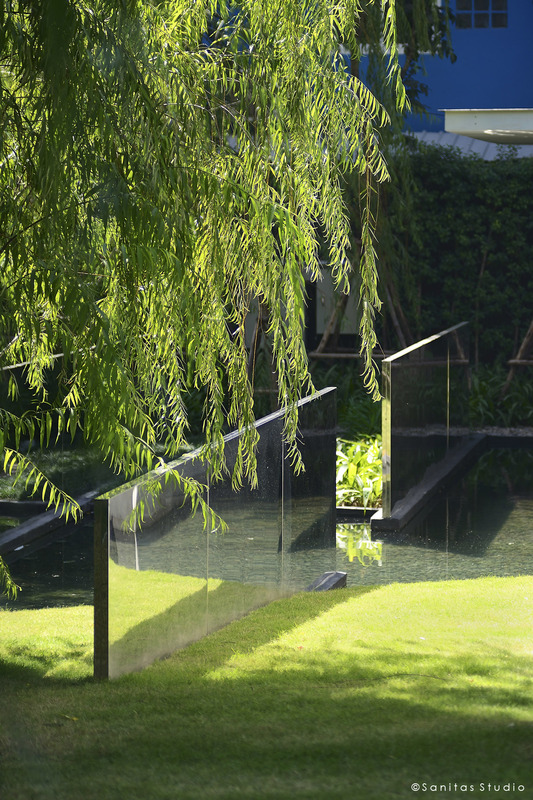 In May 2013, WYNE, has won Highly commended from Property Awards, In Landscape Architecture, Thailand Category. 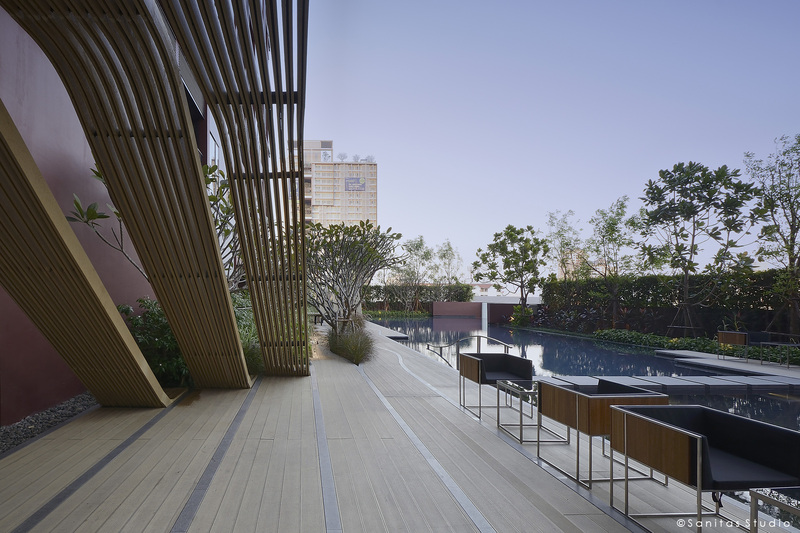 In October 2013, WYNE, has been shortlisted for WAF, World architecture Festival in Singapore, in Landscape Architecture categories. In this year’s jury, we were among 9 great projects; Qunli Stormwater Park:A Green Sponge for a Water-Resilient City by Turenscape, Hariri Memorial garden by Vladimir Djurovic Landscape Architecture, The Australian garden by Taylor Cullity Lethlean + Paul Thompson, including Central Plaza Chiang Rai by Shma Co., Ltd. 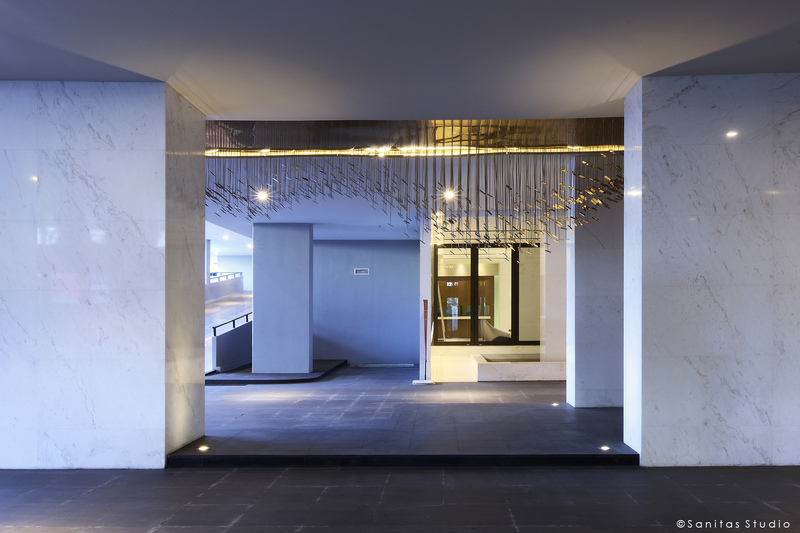 In 2010, Sanitas Studio was commissioned by Sansiri PLC to do landscape design for High rise condominium on Sukhumvit Road. Apart from Landscape design for facility level and garden on ground floor, we were asked for landscape design approach on the facade of 4 storeys carpark building. Located on Sukhumvit Road, the main road lining from city centre to other part of the country, Wyne Sukhumvit situates at the transition of fast developing area. The fast developing area is a mixture of old shop houses, new developments and convenient transportation but it is far from recreation areas or public parks in 1 kilometers radius. Living in a big city, sometimes creates stress and routine life style. 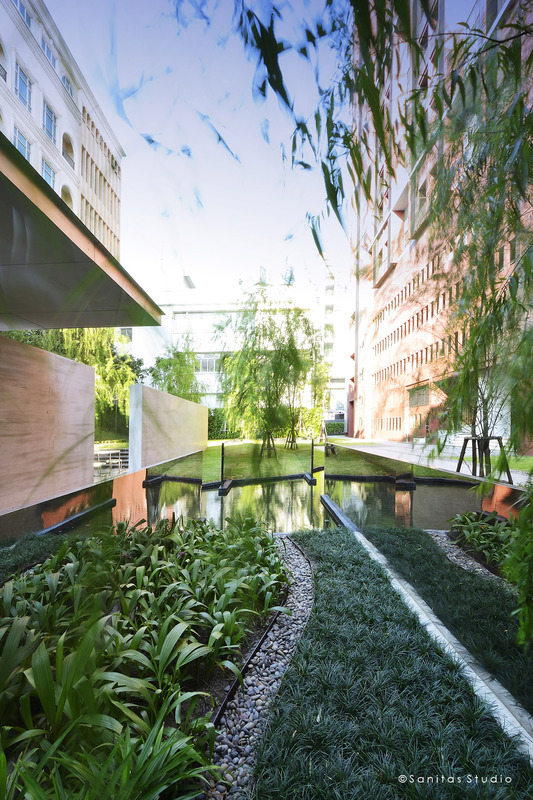 A Sanctuary which can bring other dimension to their life; Art, Culture and Nature, and create a garden pause from the city where people can rest, relax, contemplate and retreat from the city life. 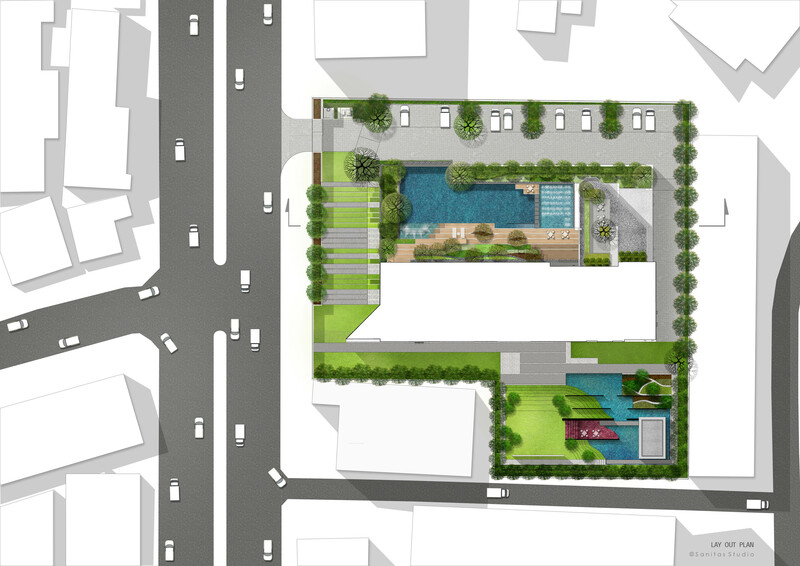 Sanitas Studio aims to integrate planting in every possible areas including; a garden walk around the building foot print, a herb garden within a sculpture garden, vertical garden on facade of the building and rustic garden on swimming pool level. The idea was to encourage people to see the important of nature and how it could improve their quality of life. 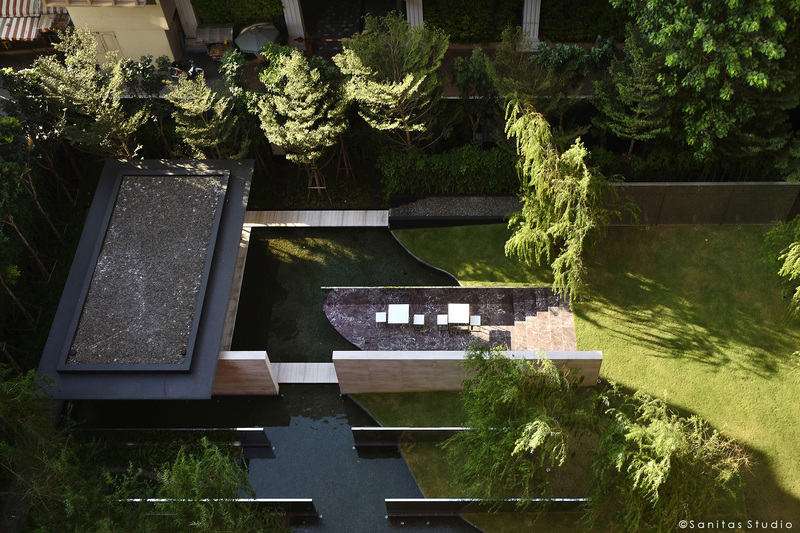 The landscape design was expressed in the form of Revealing of Sanctuary ; the meeting point between nature and manmade. This design emphasizes the important of nature in urban life and questions the current balance between them. 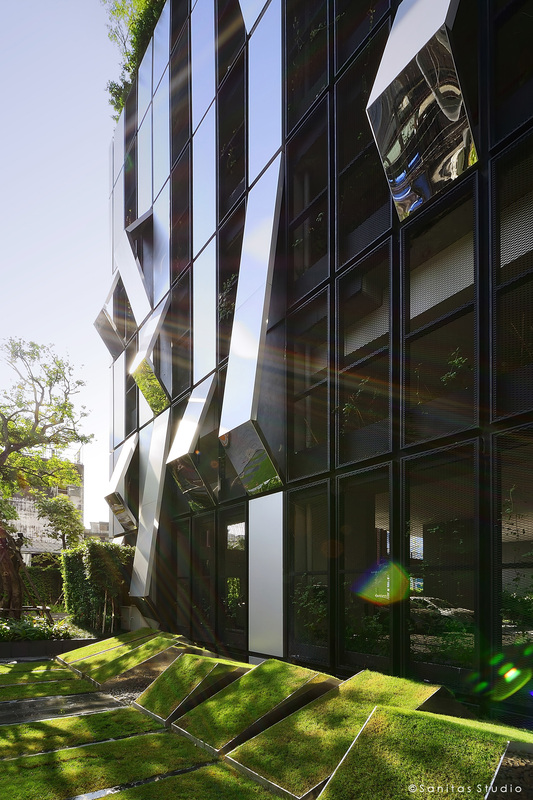 The contrast of contemporary line and the skin of the building with wild plants was composed to provoke the consciousness of decreasing nature. 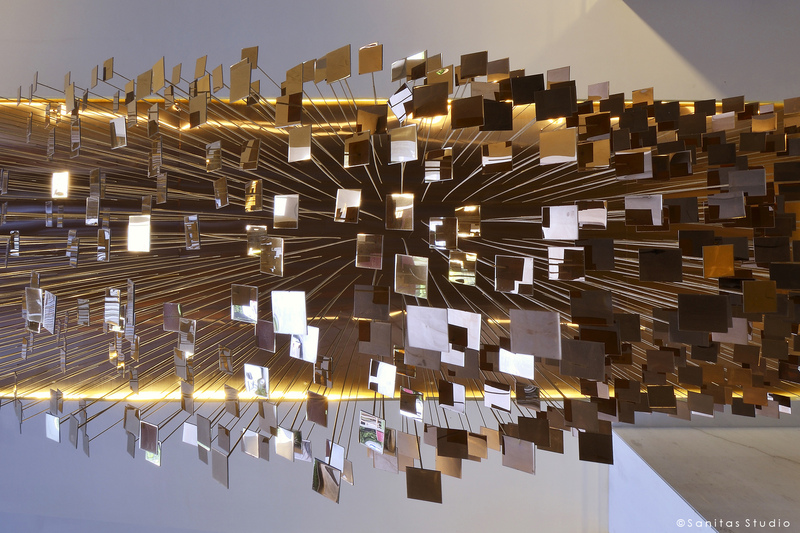 The Facade was revealed by folding up stainless steel strips to reveal the vertical sanctuary . 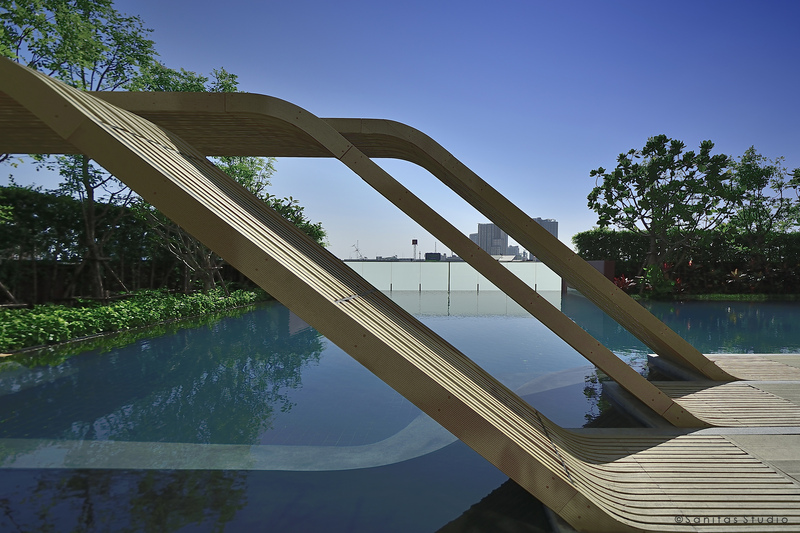 The Pool was revealed by peeling strips of timber trellis to reveal the sanctuary. 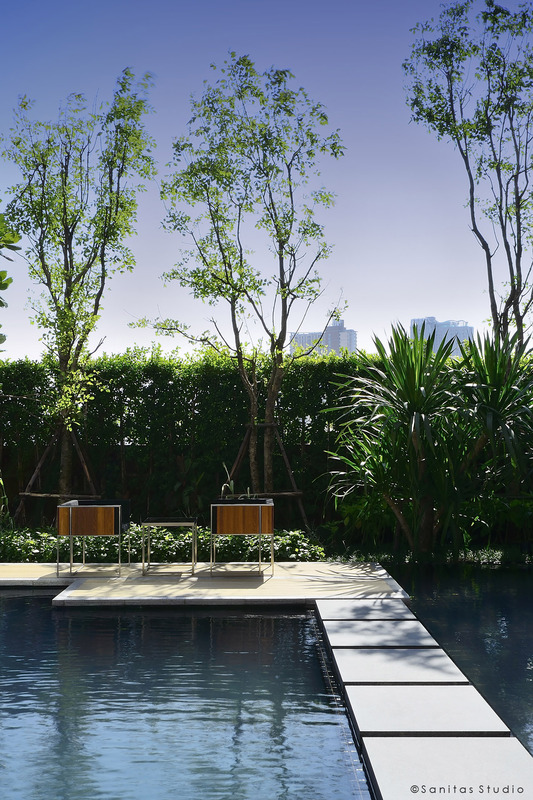 At Wyne, soft planting also plays the important roles; nurturing the space, providing shade for outdoor function space and decreasing temperature, which is crucial in tropical country. Located in city center, the space is limited and under strict regulations. There is 6 meters setback around the building for fire engine access. The area for actual garden is in the corner at the west end of the site. 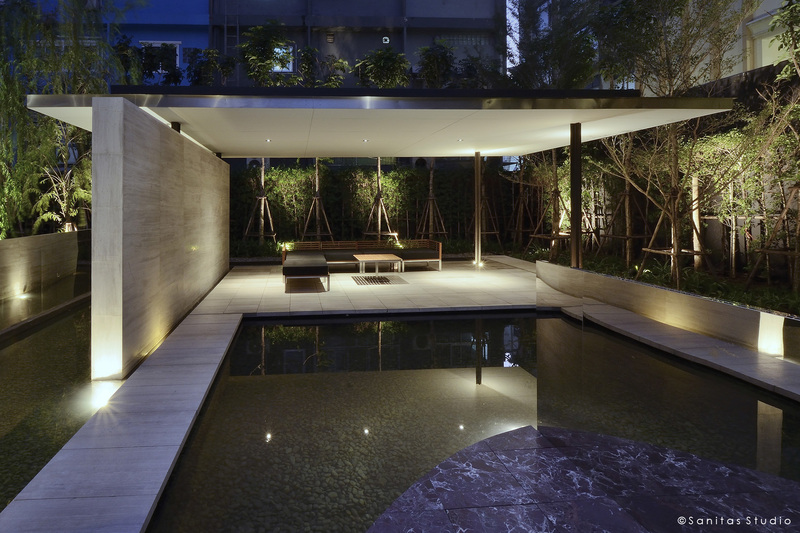 The challenge is to create the garden experience within limited space. Using turf pave on fire engine access is the idea to encourage the garden walk visually. On ground floor, the whole plan was covered by both strips of softscape and hardscape. This created one large garden pattern that wrap around the building foot print. The sculpture garden is located in the corner, which provides the quietness and contemplation space for the residents. 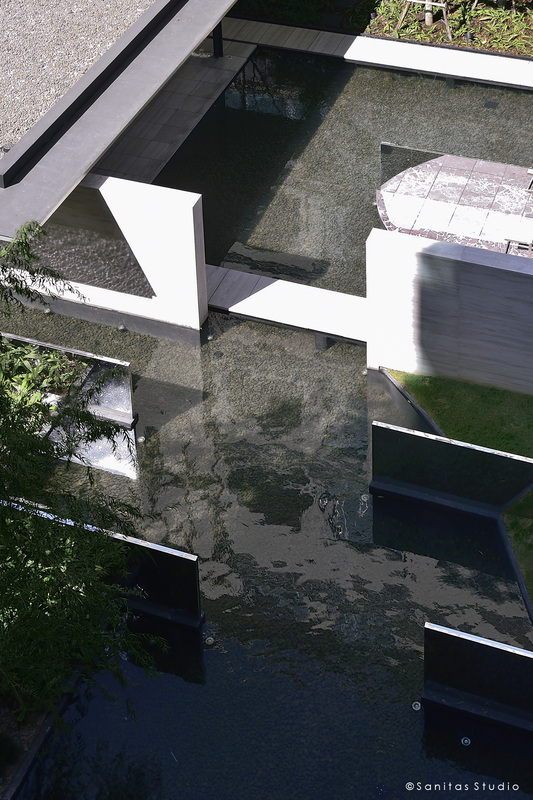 In the Sculpture garden, the earth was pushed to reveal the water and its topography profile. 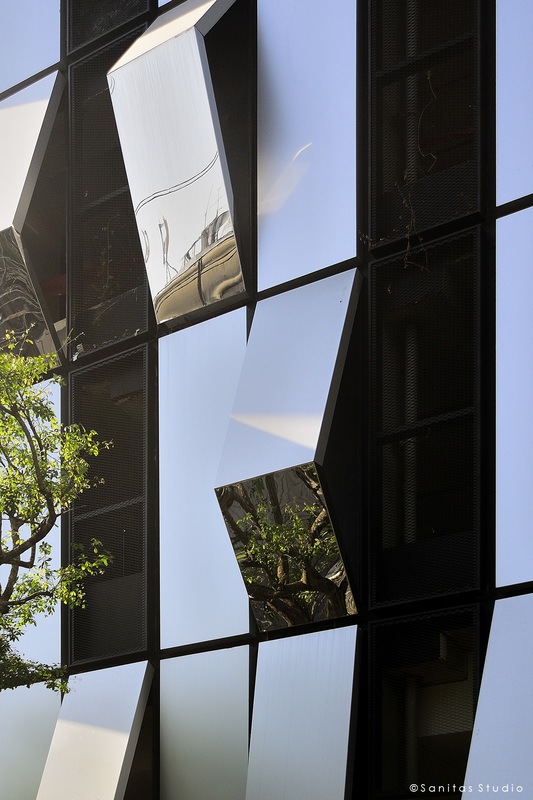 The crafted berm was marked by stainless steel wall and showed its topography profile. 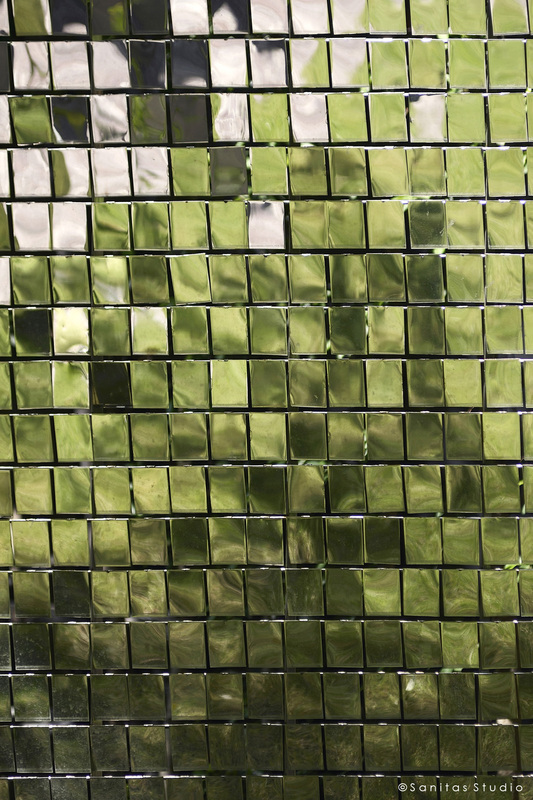 The mirrored finish of the wall marked the existence of manmade structure in nature. In the same time, the reflection of nature on it made the manmade structure disappear. 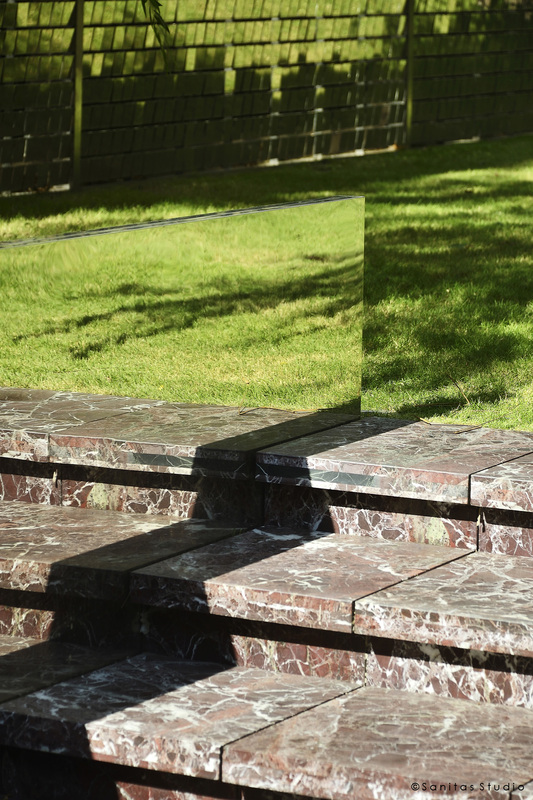 The reflection, the meeting point between manmade and nature, is the key element in this sculpture garden. It penetrates in the garden, in the same way, man acquires space to live with nature. 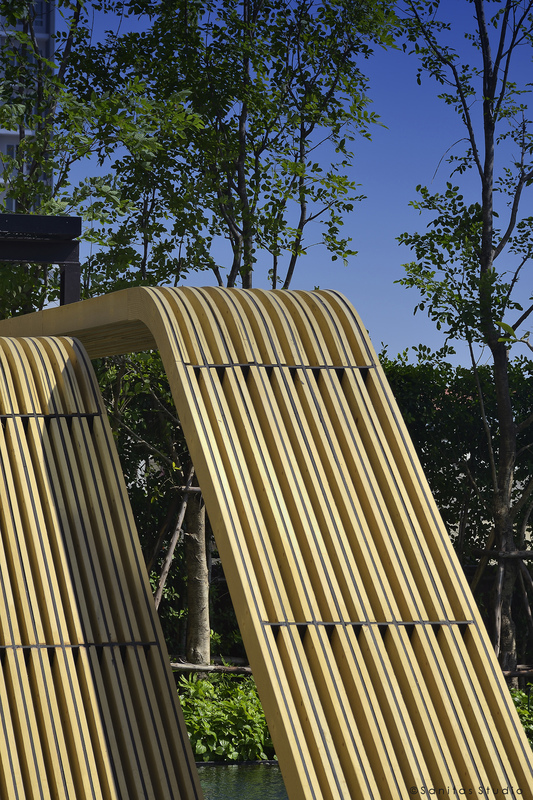 Sanitas Studio proposed to have the artwork embedded in the landscape, then let it interacts with people naturally. The same message was hidden behind the artwork; questioning the balance between manmade and nature. 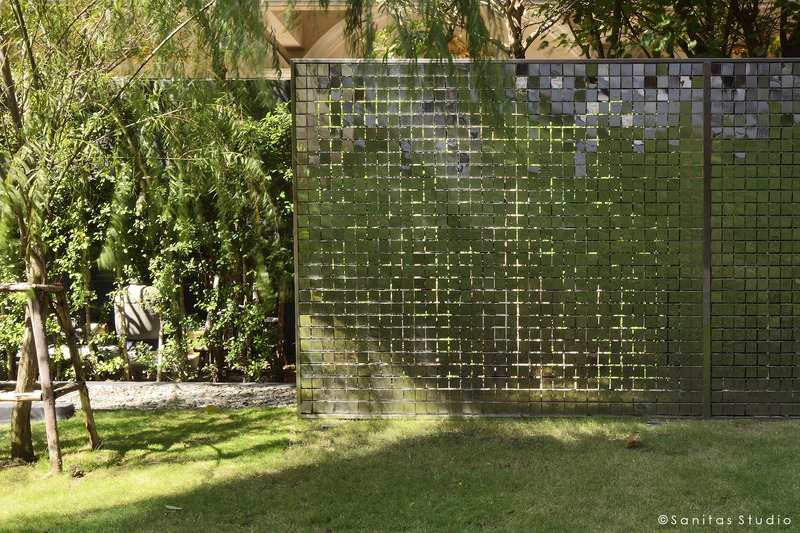 The Mirror wall was located along garden edge, from the first glance it looks as if defining the garden space, then it looks as if it is disappearing with the wind that blows the pixellated mirror pieces. On the facility level, a large swimming pool was placed in front of the gym room and provided the infinity edge pool and redirect the view to the canal beyond. The sun deck was located next to the changing room and library. The private balcony was screen by a row small trees, which give the privacy and allow the filtered view in the same time. Having the roof garden on high rise building, the most important concern is to keep it low maintenance. Sanitas Studio propose a simple solution of one rectangular deck to look at city sky line beyond and selection of low maintenance plantings. 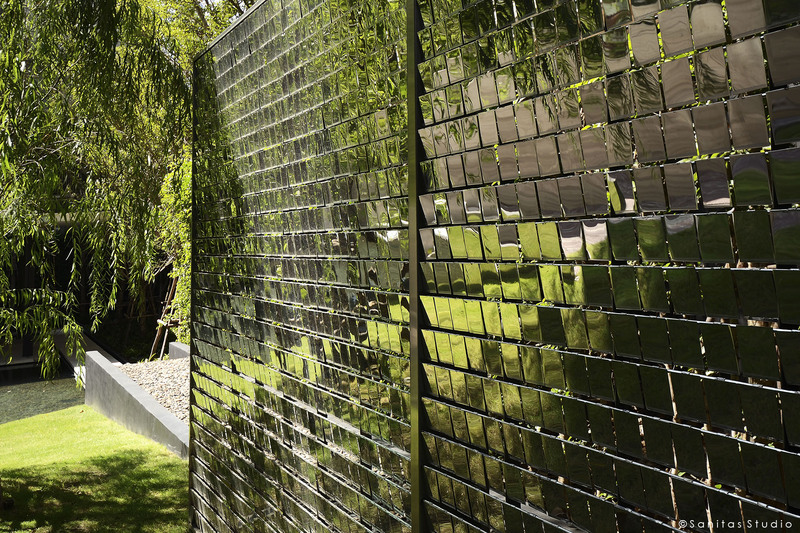 REFLECTION, THE MEETING POINT BETWEEN MANMADE AND NATURE, IS THE KEY ELEMENT IN THIS SCULPTURE GARDEN. IT PENETRATES IN THE GARDEN, IN THE SAME WAY MAN ACQUIRES SPACE TO LIVE WITH NATURE.